This is a die-cut Crescent Milk porcelain sign. This particular Crescent Milk sign is predominantly white with blue text. 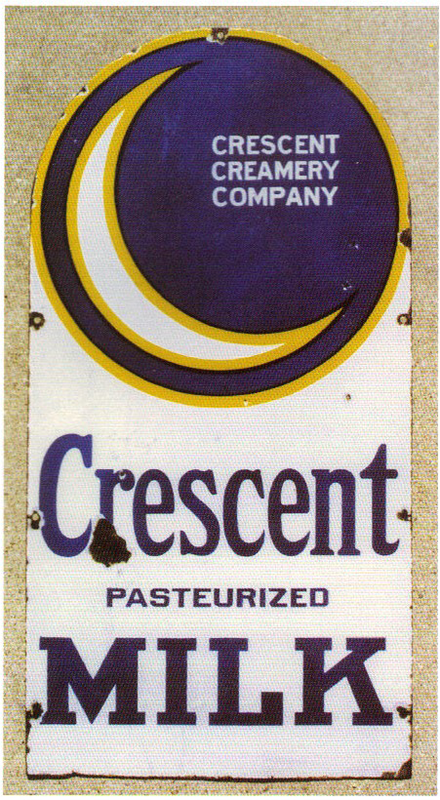 It reads, “Crescent Pasteurized Milk, Crescent Creamery Company” and features a crescent moon at the top.